Children diagnosed with life-limiting conditions are being “used shamelessly” by certain activists in the media and some politicians as a pretext for liberalising the law on abortion, the Bishop of Elphin has said. 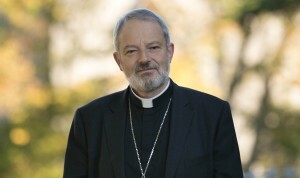 In an address at event organised by Family and Life on the theme, ‘Every Human Life a Gift: Defending the Pro-Life Amendment’, Bishop Kevin Doran said the use of words like “fatal” or “lethal” imply that there is some clarity about the outcome and that death is imminent and inevitable. Acknowledging that it is very distressing for a woman to know that the baby she is carrying is very seriously ill, he stressed that foetal abnormalities do not of themselves constitute a threat to the life or health of the mother. Others, he noted, have spoken about their joy in discovering after birth that, while the child had serious health issues, the prognosis was actually better than they had originally been given to understand. He suggested that people listen to the stories on the website www.onedaymore.ie. Dr Doran stressed that every human life has meaning and value, because every person is created by God for eternal life. He highlighted that one of the particular challenges facing parents of unborn children with life-limiting conditions is that there is only one neo-natal hospice in the whole of Ireland to respond to their needs. “The promotion of a culture of life would include a greater provision of neonatal-hospice services, to support parents in caring for their sick children until natural death. This is something towards which we can and should all work,” he said as he called on the Government to take action on this without delay. Of the 1983 pro life amendment, the Bishop of Elphin said that looking back now, he had no hesitation in saying “we got it right”. However, he also admitted that there are pregnancies which present significant difficulties for all sorts of reasons, emotional, medical and economic, but added “hard cases do not make good law”. He said that the people of Ireland, in the eighth amendment, acknowledged the right to life of the unborn, and the equal right to life of the mother. By contrast, the Supreme Court, in effect, argues that the right to life of the unborn child is not really equal to the right to life of the mother. “The proposal to repeal the pro-life amendment is about widening the grounds for abortion. No matter what alternative form of wording may be proposed, the intention will be that more babies die,” the bishop warned. On the Government’s proposal to establish a citizens’ convention to make recommendations on what should be done about the pro-life amendment, Bishop Kevin Doran said it was “nothing more than a smokescreen, by means of which the Government wants to distance itself from the political consequences, by pointing the finger towards some other group, in much the same way Adam is reputed to have pointed at Eve”.